CTS are your one-stop IT and telecoms solutions provider. 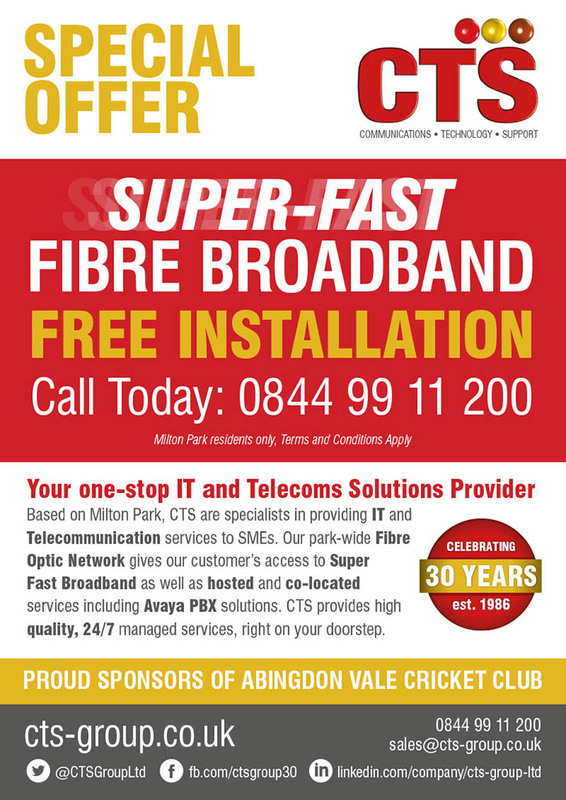 Based on Milton Park, CTS are specialists in providing IT and Telecommunications services to SMEs. Their park-wide Fibre Optic Network gives customer's access to Super Fast Fibre Broadband as well as hosted and co-located services including Avaya PBX solutions. CTS provides high quality, 24/7 managed services, right on your doorstep. For more information, please download their latest flyer here.